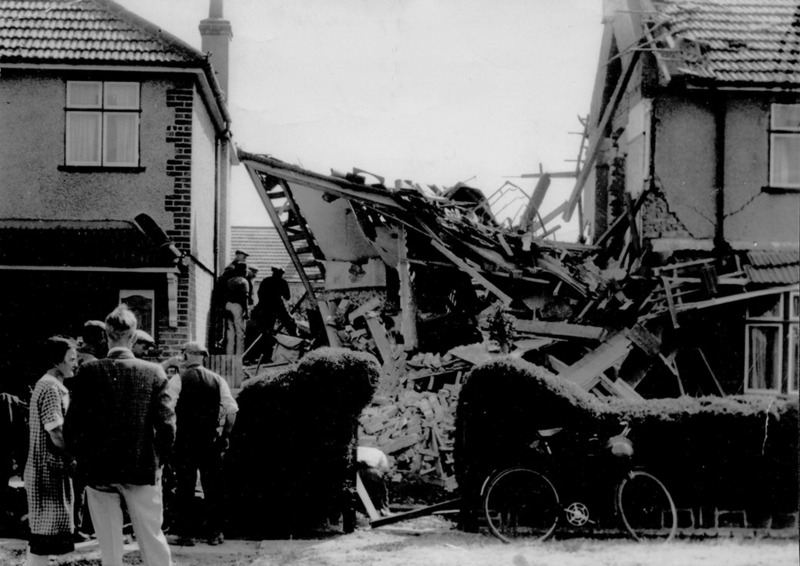 The ruined house shown in this photograph was in Grand Avenue, Lancing, Sussex and had been the home until a few days before being bombed, of my mother, Emily Lindfield, my brother Peter and myself. We were evacuated at the outbreak of war to my mother’s parents (the Braben’s) house as my father anticipated London being attacked by aerial bombing. He moved us back to London, all being quiet, the Blitz had not yet commenced. 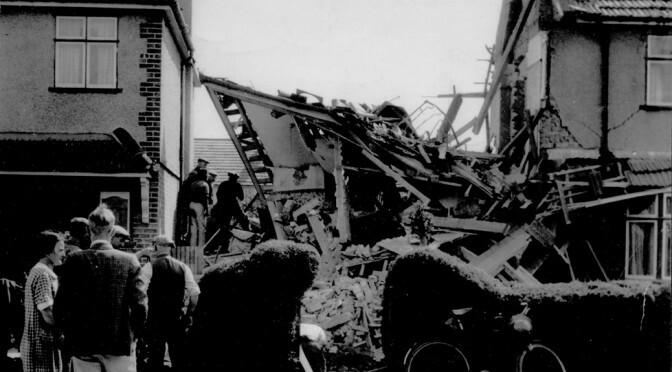 We were lucky – the bomb, dropped at night by a German bomber returning from a raid on Portsmouth in August 1940, and jettisoned at random, entered through our bedroom at the rear of the house. My grandparents, asleep upstairs in their front bedroom, survived, scrambling out from the ground floor, badly bruised by thankful to be alive. Within weeks of returning to London, we were homeless, being bombed out within the first few days of the Blitz – another story.